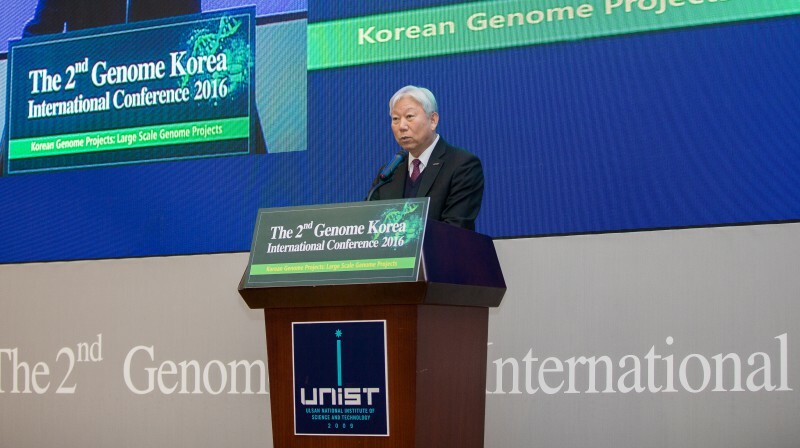 On the afternoon of the 30th of November, UNIST held its second annual meeting of the Genome Korea International Conference in the Kyungdong Auditorium of UNIST. 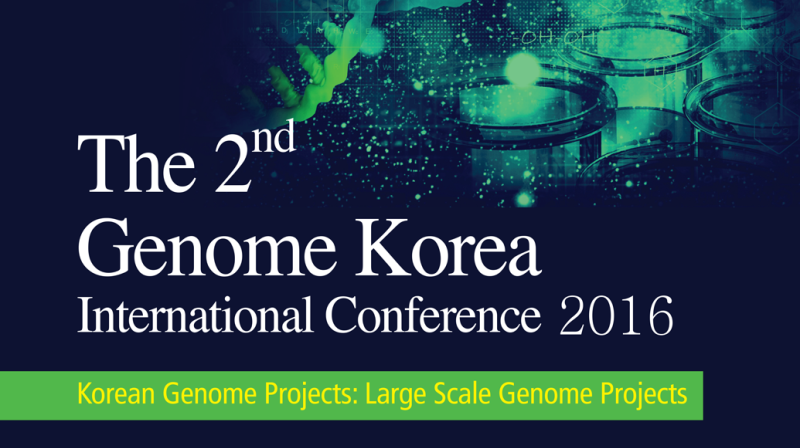 The primary objective of this conference was to create a broad, interdisciplinary exchange of ideas and results, and identify outstanding problems on various aspects of genome sciences, as well as to discuss potential future directions for the “Genome Korea Project” that UNIST and the city of Ulsan are currently working on. 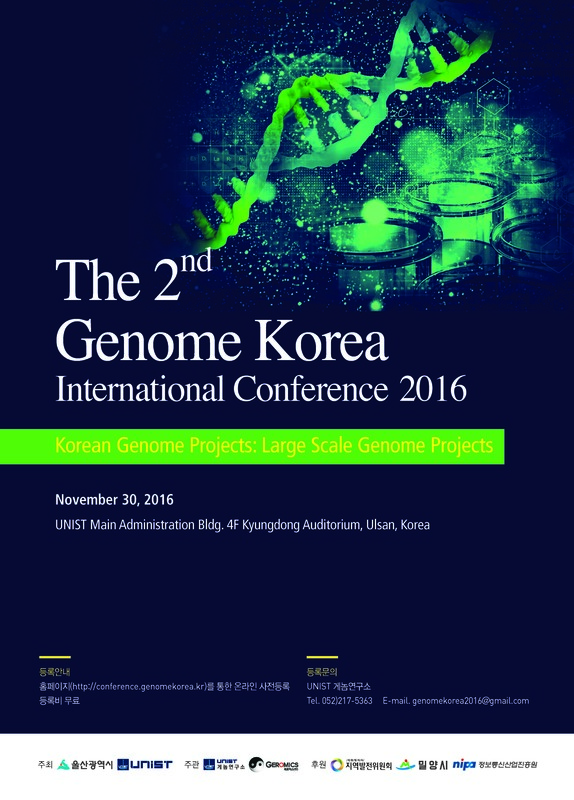 The second annual meeting of the Genome Korea International Conference, took place at UNIST on November 30, 2016. 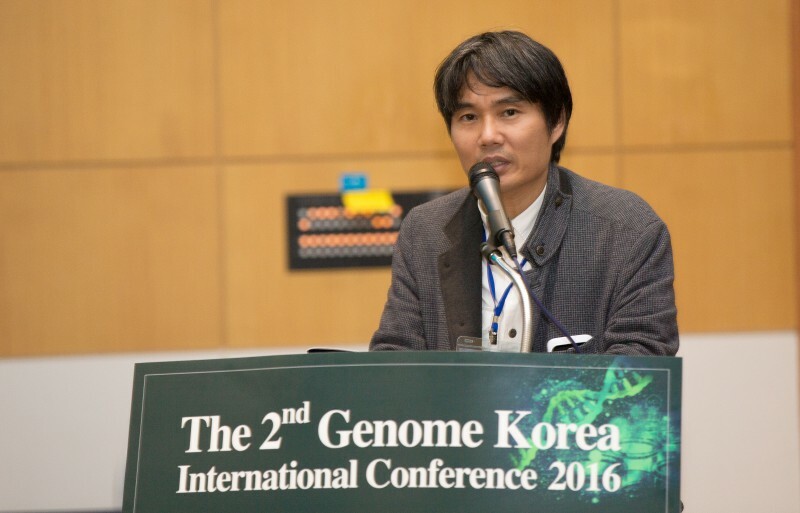 Included among the featured speakers were some of the leading genomics experts, university leaders, and senior scientists from organizations, such as the Pacific Biosciences of California, Inc., the University of California, San Diego (UCSD), Tsinghua University, the University of New Mexico, Korea Advanced Institute of Science and Technology (KAIST), and Soongsil University. 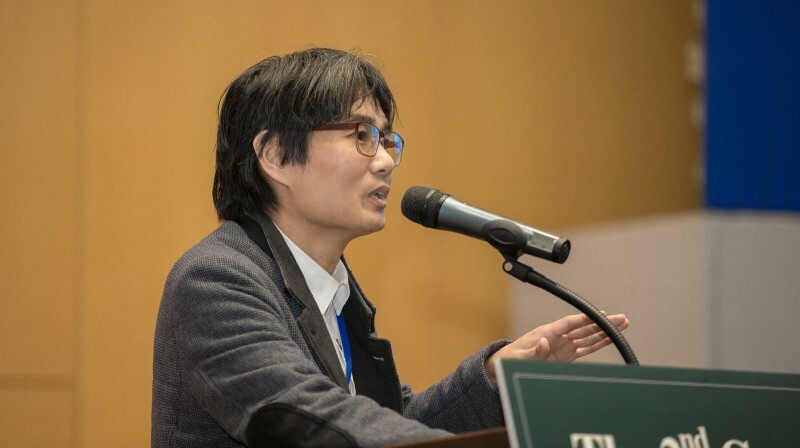 In the opening ceremony, Professor Jong Bhak of Life Sciences at UNIST delivered a presentation on the topic of “1,000 Genome, Ulsan 10,000 Genome, KOREF and Beyond”, explaining the current status of the Genome Korea Project. 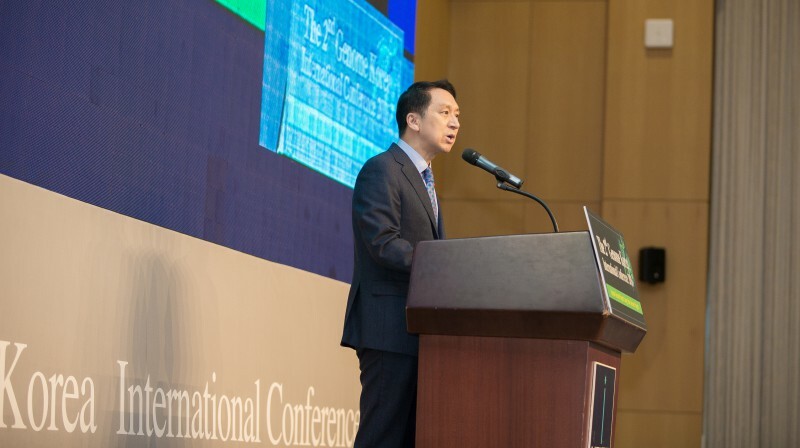 This was followed by the opening remarks by UNIST President Mooyoung Jung and Mayor Gi-Hyun Kim of Ulsan. 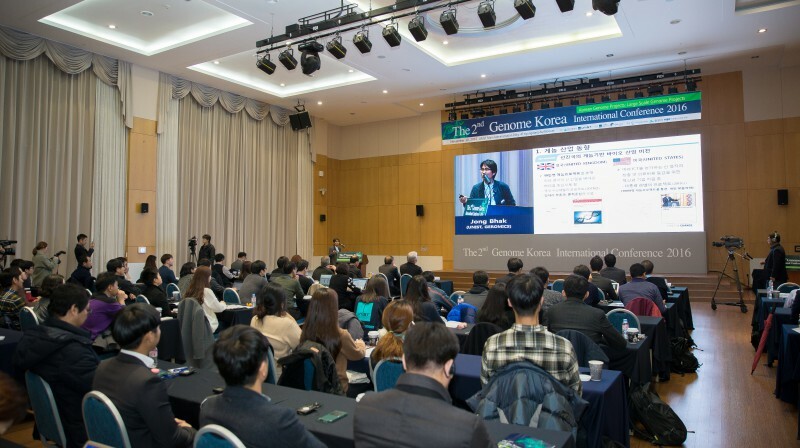 Professor Jong Bhak of Natural Science explains the current status of the Genome Korea Project at the conference on November 30, 2016. Additional highlights of the conference are enriching presentations on “Accurate Single-Cell Human Genome Sequencing” by Professor Xiaohua Huang of UCSD, “Long Read Genome Sequencing Technology” by Professor Jeremy S. Edwards of University of New Mexico, as well as “Generating the Most Comprehensive View of Genomic Complexity in Human” by Senior scientist Meredith Ashby of Pacific Biosciences California Inc.